The best treatment for earaches is olive oil, which works as a lubricant and helps get rid of ear infections. 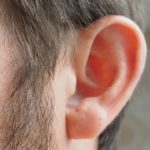 Put 3 or 4 drops of lukewarm olive oil into the ear canal. The oil will cause the wax to soften, which can then be removed with cotton swabs. Do not put the cotton swabs too far into the ear! Pediatric Sinusitis – Prevention – Influenza vaccination each year, Wash your hands often, particularly after shaking hands with others, Intake of plenty of fluids to increase moisture in body. When the sinuses become infected, inflamed, and swell, that condition is called sinusitis (or a sinus infection). .
Pediatric Sinusitis – Symptoms – Bad breath or loss of smell, Cough often worse at night, Fever, Headache. Pediatric Sinusitis – Causes – The infection occurs due to virus, bacteria or fungus..